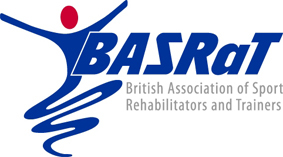 The British Association of Sports Rehabilitators and Trainers (BASRaT) includes the following insurances as a benefit for all eligible members. Eligible members may increase their own personal level of cover under the scheme to either £7.5million or £10million any one claim. Click the link for application form and details of cost. Student members qualified to practice Sports Massage may apply for Professional Liability insurance at discounted rates. Click the link for application form and details of cost. Members trading as a partnership or private limited company may require separate insurance. Private limited companies owned 100% by a qualified BASRaT member, where the member is the only practitioner engaged are included within the block scheme (see summary and policy for details).